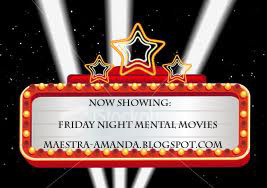 Maestra Amanda's World: Friday Night Mental Movie: Voice Casting "The Cheshire Cheese Cat"
Friday Night Mental Movie: Voice Casting "The Cheshire Cheese Cat"
Friday Night Mental Movie is a weekly meme hosted here, at Maestra Amanda's Bookshelf. In it, I ask you to cast the key rolls in a book you are reading or have recently read. This week, I see my mental movie of The Cheshire Cheese Cat: A Dickens of a Tale by Carmen Agra Deedy and Randall Wright as a cartoon, so I really am just going for the voices. I don't want to say that these are the voices I heard in my head (as that makes me sound a little like my down the street neighbor), but these are the voices I imagined were reading the various parts to me. As Agnes: I kept hearing Audrey Hepburn as Eliza Doolittle when Agnes was speaking, so since its a dream casting, that's who I'm going to go with. I'm sure there are plenty of girls who can do great Cockney accents, but hers is just the best. I LOVE this! Especially Alan Rickman as Maldwyn--genius! I also love Alan Rickman as Maldwyn. But for Charles Dickens, I think (since this is fantasy casting) the only one to play him is Dickens, himself. After all, if you've read A Christmas Carol, you know he is standing at your elbow as you read, but if he is unavailable, how about Ben Kingsly. For Croomes it has to be Imelda Staunton. I think Jim Broadbent should play Henry. I do love your casting of Pip. As long as his voice doesn't change. He is getting along in years. Thanks! Randall Wright (one of the authors, who should be allowed to play this game).